Description: A monthly forum to discuss and explore the interrelationship of digital photography and the use of the computer. A discussion leader will present a topic and guide a hands-on review by participants. An open exchange of ideas and information will be emphasized. The goal is to demonstrate and simplify technical considerations, and hopefully make the process more enjoyable and less intimidating for our members. Participants will learn: How current technology can address the various needs of the photographer, from getting the most out of their images to sharing the finished results. Prerequisites: Basic computer skills. Current membership in the Westbrook Village Computer Club is required. All Workshops are free. Click Here for WVCC membership Information. Date of meeting: Third Monday of each month (October through April) Check Events calendar for details. Number of Students: 10 workstations are available and seating will be on a first come basis. Limited additional seating can be made available for observers. Description of Class: This is an introductory hands-on class for getting started in photo editing. 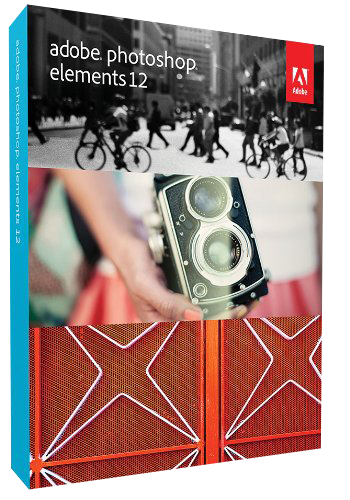 It will cover the basic digital workflow for organizing, enhancing and sharing your images utilizing the features available in Adobe Photoshop Elements. Students will learn: How to set up a catalog and import images, helpful organizing and viewing options, the basics of creating a slideshow, and printing or sharing via email. Editing topics include navigating the interface, guided and auto adjustments vs. manual, the properties and capabilities of layers, making selections, sharpening basics, cropping and straightening procedures for better composition, adding text to images, and the importance of understanding image resolution, file types and sizing options. Prerequisites: The student should have basic computer skills. This includes using the mouse and keyboard, and the ability to move picture files into directory folders on the computer. As this course is intended as an introduction to image processing, in-home access to Adobe Photoshop Elements software would be helpful but is not required. Some of the concepts presented could be applicable in other photo editing products, although their application would be procedurally different than in Photoshop. Current membership in the Westbrook Village Computer Club is required as well as a small fee for the class. Click Here for WVCC class registration and membership Information. Software Used: Adobe Photoshop Elements 12 (PC/Mac compatible). Special Setup: Files will be provided on the classroom Windows computers to use in this class. Number of Students Required: Min. 5, max 10 students. Description of Class: This hands-on class will take a close look at the important concepts, tools and techniques frequently used to get the most out of digital camera images. Fundamental Photoshop Elements editing methods will be explored in greater detail, and advanced features will be introduced. Although the jargon may be a little intimidating at first, the success of Elements in a competitive market is a good indicator of its user friendliness. The goal is for students to learn a useful workflow and discover new creative possibilities. Student will learn: Selective editing, correcting with adjustment layers, removing distortions, how to read a histogram, level adjustments, retouching and enhancing techniques, photo compositing steps, color correction and casts, converting to black and white, applying filters and special effects, photo merge, panoramas, and preparing images for print and the web. In addition, Camera RAW details and presets will be examined, as well as using the powerful RAW editor to adjust JPEG files. Prerequisites: In addition to basic computer skills, students require an understanding of the editing and organizer features that were taught in the class Photoshop Elements Introduction – Beyond the Welcome Screen. Previous experience and practice with this software would be a plus. Description of Class: This hands-on class will take an in-depth look at the industry’s premier photo workflow software Adobe Lightroom. It provides the organization, image adjustment and output features demanded by photographers who catalog and process images in volume, or just want to spend more time with the camera than the computer. Lightroom’s smooth interface, quality of adjustment tools and logical workflow have made it one of the most widely used image processing program on any platform. Student will learn: One of the most important aspects of processing images starts with the organization module. Learning a file structure that works for you, keyword tagging and catalog shortcuts will make finding your important images easy. Lightroom’s development module is where the photographer’s vision comes to life. Utilizing the program’s exposure adjustment tools, cloning and healing, cropping, white balance, noise reduction, lens correction and special effects will make quick and easy improvements to any image. 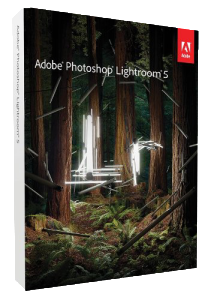 Prerequisites: In addition to basic computer skills, experience and practice with the current or a previous version of Adobe Lightroom software would be a plus. Number of Students Required: Max. 5 students.